We’ve paused our consideration of the Disciplines for a time, in part because of an increased experience of the Discipline of Service to my boys while Kelly was away in Oaxaca (You can read about that experience in our most recent newsletterPDF. ), and in part because of the frenetic pace that accompanies the final weeks before Christmas vacation. Still, though our forward progress has been slowed, the practice of the disciplines considered, especially those of prayer, study, solitude, service, and submission have been constant companions, a means to orient my life toward the grace that, I have become increasingly aware, God longs to lavish on each one of his children. However, as I traveled to ACLAME meetings in Springfield, MO. My need to switch to airplane mode to disconnect with the Internet and all of the urgency and distraction that it generates, became another opportunity for me to connect with the Disciplines and, with them, the God who has so generously provided them as a means to align us with his divine nature. Today we move forward into the Discipline of Worship. 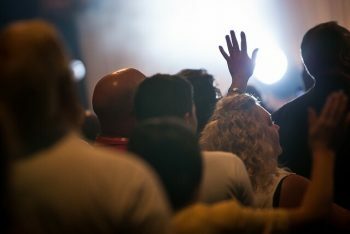 While, as with the other Disciplines, I’ll look to define the Discipline of Worship and seek to record my personal experience with it, I felt the need to stop at a declaration of the author, Richard Foster: “God is actively seeking worshipers.” Jesus declares, “The true worshipers will worship the Father in spirit and truth, for such the Father seeks to worship him” (John 4:23, [italics added]).” When I’ve read this scripture in the past I’ve always pictured God as waiting for those who would worship him in “spirit and in truth,” as though it was something to be found within us, something which we would generate from ourselves as we applied the right songs, the right postures, or the right words to convey that spiritual worship. But Foster goes on to talk about the God who seeks, looks for, and evokes reaction from those with whom he interacts. He provides a list of examples: God looking for Adam in the garden, Jesus, drawing all humanity to himself on the cross, the Father running to the prodigal. Each one shows us a God who initiates the worship that he seeks from his children, who shows himself to them, who gives them every reason to exult in praise and adoration. And so we turn to the Discipline of Worship with a new understanding: even as the Scriptures call for a sacrifice of praise, we recognize that it is God who grants us the reasons and the resources that we need to present to him that sacrifice that he requests. Like the father who receives with gratitude the gift that his child has purchased for him although the money for that gift came from the father’s own pocket, such is the expectation and subsequent joy of our Heavenly Father when we respond in worship although, in fact, it is a worship that he himself has made possible. May we then enter into to this Discipline knowing that we have divine aid ensuring our success. What a Good, Good Father he is indeed! What’s your take on John 4:23? As we close out this year of 2018, can you remember instances when God has sought you out to worship him? Share it with us. Photo credits: Nazarene General Assembly 2013 by Jake Guild used in accordance with a Creative Commons license. Hmm, I definitely don’t feel “well equipped” for this one. Maybe it’s a matter of slowing down, turning down the analytical and turning up the appreciation? While I’m quick to appreciate a great design or a good cup of coffee, it’s much hard to “worship”. Not sure where that leads.